We put our experience in manufacturing and riding experience of world known riders to create best pegs for you! Currently we propose Mad-Ti Flatland pegs with titanium caps by Matti Hemmings and BOHM flatland pegs by Chris Bohm. 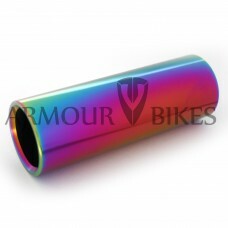 If you look on BMX pegs for park riding or light street riding - for this we have oil slick BMX pegs called "Nuclear" bade from durable 7075-T6 aluminum. 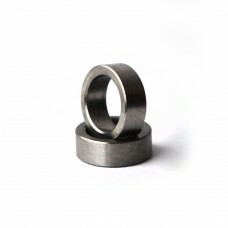 All of our BMX pegs comes with aluminum 14mm to 10mm axle adapter, but if you need extra adapters - you can buy our titanium adapters. 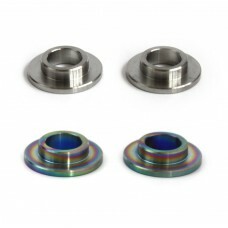 10mm to 14mm Dropout adaptersPrice stated for pair These dropout adapters allow you to use hubs with..